On any holiday trip, people take a lot of snaps so that it stays remembered for a long time. What if some snaps could be taken aerially? It is possible these days after the advent of drones, only requirement being one may have to carry it all along with them. People generally ask ‘Why you should pack a drone on your vacation?’ The reason can be pure pleasure and also remembrance of those moments that were spent at the place. 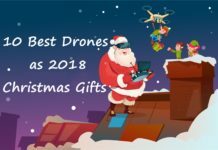 Therefore, carrying a drone on a holiday can be a wonderful way to make some startling photographs that can stay etched on to the memory for a long time. Moreover, drone manufacturers have become quite smart these days as they make drones that can be easily tucked in to our luggage and taken on a flight. They may not occupy much space and can come with styrofoam packings so that they do not pose any threat. Each component of a drone can be packed in a designed casing without having to ‘adjust’ it haphazardly within a luggage. All this can be pretty satisfying for any traveller. However, regarding travel by drones, there are certain things that must be found out so that there is no embarrassment at a later stage. Some of these concerns have been shared here. There are certain drones that can be detachable and compact while a few others may have non-collapsible fixed legs for landing. Many drones may have attached cameras while others may need GoPro cameras. It may not be the easiest to fly a drone. 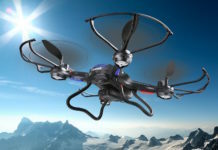 Sufficient practice may be needed for becoming a skilled drone pilot. Not every drone can be flown readily. A few of them may need a compatible tablet or smartphone. Yet there are others that may require registrations or updates before they can be made ready for flying. Not every drone may be similar in its feature. They also may operate quite differently. In some drones, flying can be easier while in others, that may not be so. There may be some drones in which there can be fixed cameras while there can be drones that may need cameras to be attached to them. The drone operation in each country may be different. While some may not approve the use of drones altogether, in others, drones may be used only at limited places. There can be weather limitations and many types of restrictions on flying a drone. Sufficient study should be done for a place before flying them. Enough space must be there to carry a drone while going on a holiday. If shooting on manual in DSLR is not known well, that can give a hard time with drones as manual operation may be needed for it. While travelling with a drone, the question can be whether to carry on or check it. A few journeys with a drone can make this question easier! These are some of the considerations that must be made before one decides to fly with a drone. The answer to each of them may be unique for every person but then, these must be considered before planning to take them along with for a holiday. 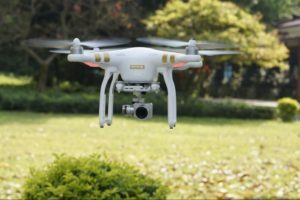 Considering all the pertinent points mentioned earlier, one may think ‘why you should pack a drone on your vacation?’ The reason can be very simple and easy to arrive at. The kind of aerial snaps that a drone can produce can be awe-inspiring and that cannot be replicated by any other means. 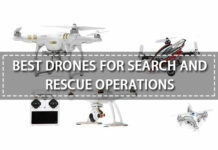 Additionally, there are many types of drones that may be available in the market today. Many of them are suitable for travelling and can be carried easily during a journey. Anyway, enough concern must be shown for space requirement and function of a drone. If it is a general type of vacationing, any drone can be used for the purpose and one may not need to invest in a pro unit. 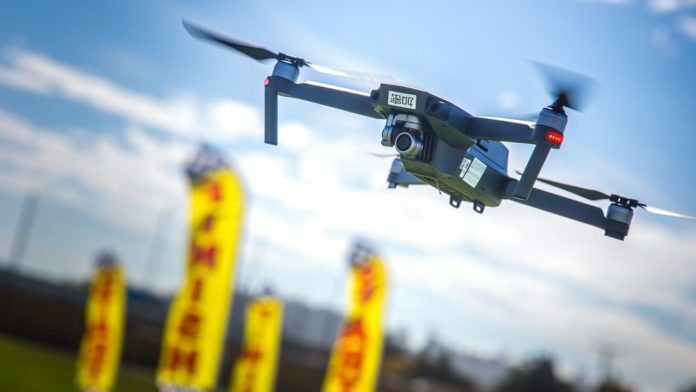 However, if there is some definite travelling purpose related to licensing or further selling, then high quality content may be needed and a drone should also be chosen likewise. 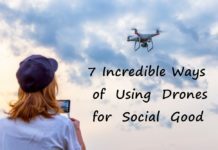 We have compiled here some of the best drones for travelling based on all these conditions. 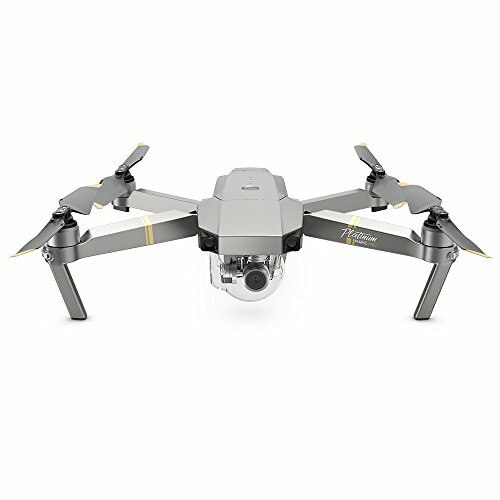 This travel by drone can be one of the coolest travel companions and more so, as it carries the trademark DJI label. The size of this drone may be no more than that of an iphone so that it can be quite handy to carry it while travelling. The picture and video quality from this drone can be average. It will be able to capture an image but then the quality may not be top class. 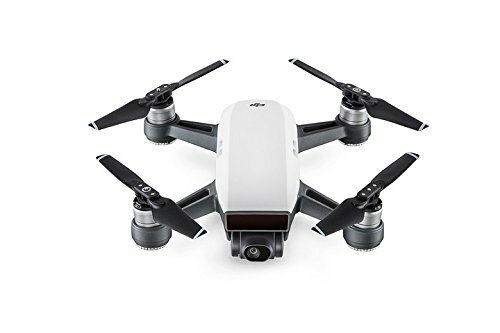 This drone may be suitable for people who are on a vacation or someone who may need it once or twice during the year. But then, if a person is a travel blogger, then this type of drone may not be suitable. 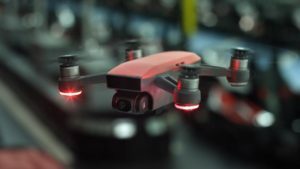 The DJI Spark is a drone that has a mechanical gimbal, an in-built camera that can assure pictures of up to a fair quality and smart flight control parameters. All of this can be useful for getting an easy launch, effective control, making pictures and also sharing them at ease. However, there are certain limitations to this drone. The first being that your smartphone may be needed to act as its controller and therefore signal loss and interference can be an inherent problem with it. However, a dedicated remote controller may be available but then, it comes separately and the price may get further pushed up. Also, due to its small size, even a light breeze can be enough to drift it away and that can be quite disappointing at times. 1) The folded up size is very small at 143X143X55 mm and thus can be easy for travelling. 2) It is very lightweight at 300 gms. 3) The maximum flight time without wind is 15 minutes. 4) The maximum flight distance is 0 to 98 feet. 5) There is an attached camera with gimbal. 6) It uses a lens FOV 81.9 degrees 25 mm f/26. The small size can be perfect for packing in a bag. 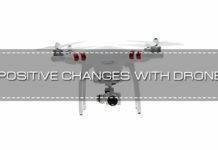 Supreme DJI quality is there in it and that can offer ample value. It is a plug and play type drone. There is no need of any additional enhancement. For beginners and vacationers, it can be the best option. The size can be a limiting factor in windy conditions. The camera quality is not that clear. Battery life is not that good and may only last for 10 to 15 minutes. Remote controller may be needed for efficiently controlling it and that can push up the overall price. People who wonder ‘Why you should pack a drone on your vacation?’ can be helped with this one. Travelers who are more into adventure and prefer activities like kayaking or hiking can get enough help by choosing this drone. 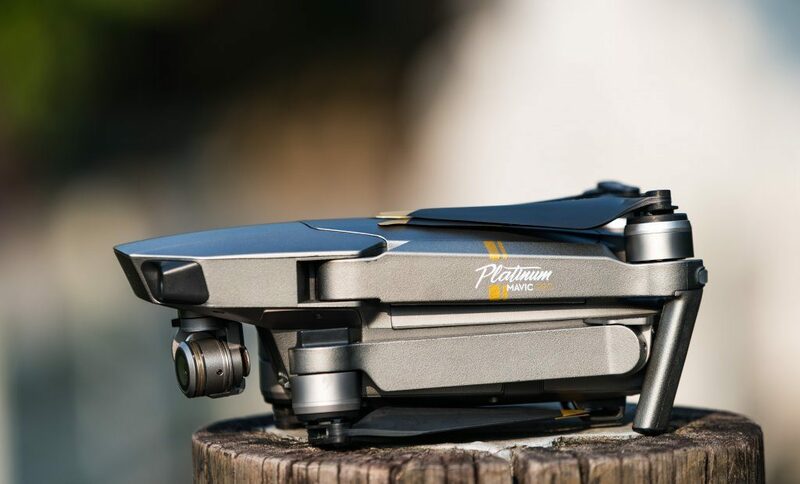 It is quite an advanced and sophisticated drone that can be a superb companion on a vacation. The DJI Mavic Pro can be the ultimate gadget on a holiday because it is just about the size of a large water bottle and hence, can be easily packed in a bag. 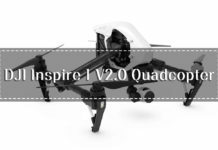 There are many utility features in this drone, automatic flight modes and promises superb performance apart from the fact that the unit is very lightweight and portable. There is a specific feature in it called the ‘obstacle avoidance’. As the name implies, this feature can be very much desired by a lot of people as it can help itself in avoiding an obstacle. Anyway, the picture quality of this drone may not be the best in the business but it can still be considered due to the drone’s superb portability. 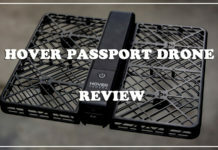 This drone can be one of the best for travelling due to the less space that it takes for packing. However, if high quality photos are required, then it may not be the one that should be chosen. For a quick flying or limited-luggage travel, this can be the best available option. 1) The folded up size is pretty small at 83X83X198 mm. 2) The weight is a mere 1.62 lbs. 3) The maximum flight time of the drone is about 27 minutes. 4) The maximum distance that it can cover is 8 miles. 5) There is a connected camera with well-placed gimbal. 6) It has lens FOV 78.8 degrees 28 mm f/2.2 distortion. 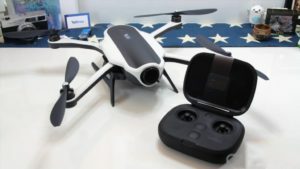 The foldable compact design of the drone is highly desired. The gaming-type controller can also be easily carried in a bag. Battery life of this drone is quite satisfactory. It offers a superb stability in air and is easy for flying. The mount meant for the phone is not very helpful. Repairs may not be done easily and has to be sent to service centers. There are some issues with the camera and it has autofocus tap problems. Also, it may not be the best for landscapes as the lens is constricted. The dynamic range is low. 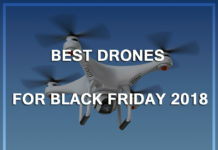 It is one of the best drones at present that may be available. It is just about the size of a small water bottle and therefore a very little space requirement is there for carrying it on a vacation. It has also used different blades than its other variants due to which the flight can be expected to be a lot quieter. This can be helpful so that the drone can fly in more areas without particularly being noticed. It also has a superb battery life, far better than its earlier avatars. 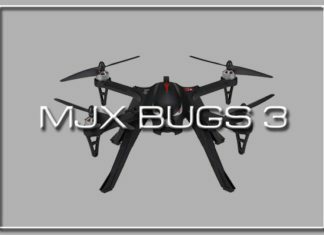 It can easily stay in air for a long time and that can be quite pleasurable for any drone pilot. In-air, it can stay for at least 30 minutes due to its dependable long-lasting batteries. 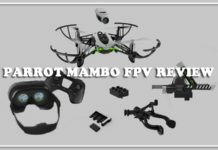 There is a unique feature in this drone called the Downward Vision System and the Forward Vision System. A flight inside area where there may not be a GPS signal or within a confined space can be helpful with the help of Downward Vision System. Similarly, Forward Vision System can be helpful in maneuvering it from any obstacle that may be there at the front so that an accident can be avoided. It also comes with a stable gimbal and can guarantee 12 M pixel JPEG images and 4k video that can be quite satisfying for any adventure tourist. 1) The folded up size of the unit is 83X83X198 mm. 2) The weight of the drone is 1.62 lbs. 3) The maximum drone flight time is 30 minutes. 4) The maximum flight distance is 9.3 miles. 5) It has an in-built camera with gimbal. The folding design of the drone can be helpful in saving much space. Hence, perfect for travelling. The gaming-type controller is also smartly designed to save much space. 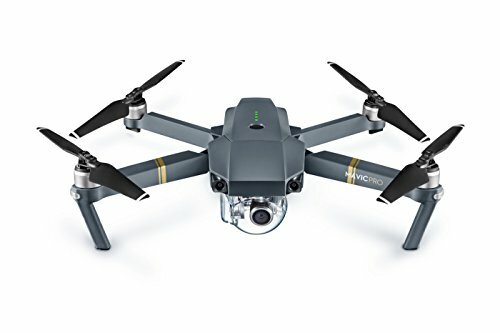 The battery life of this drone is one of the best available in the market. It offers a superb in-air stability. It has a speed of 1.65 km/hour and offers sophisticated 4k images. Repairs may not be the easiest thing to do. Always updates may have to be done before flying. Particularly, there can be many camera issues in this drone. It also has a low dynamic range. 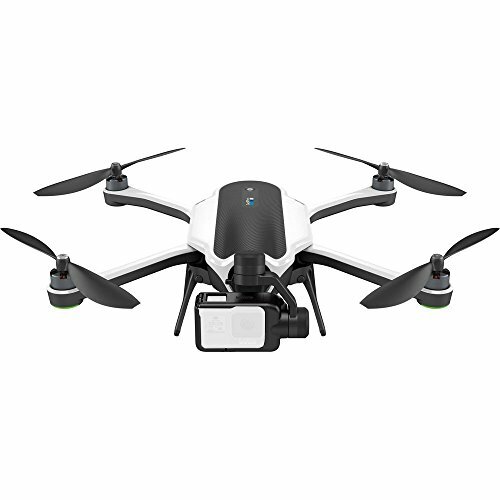 The Go Pro Karma can be the perfect travel by drone that has been made specifically for the adventure tourist. 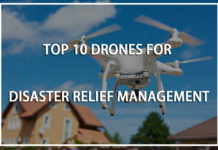 It can be easily packed and taken to any location without a problem and flying this drone can be one of the easiest. It may not be the smallest drone available in the market but still, it can offer a lot more comfort compared to many. 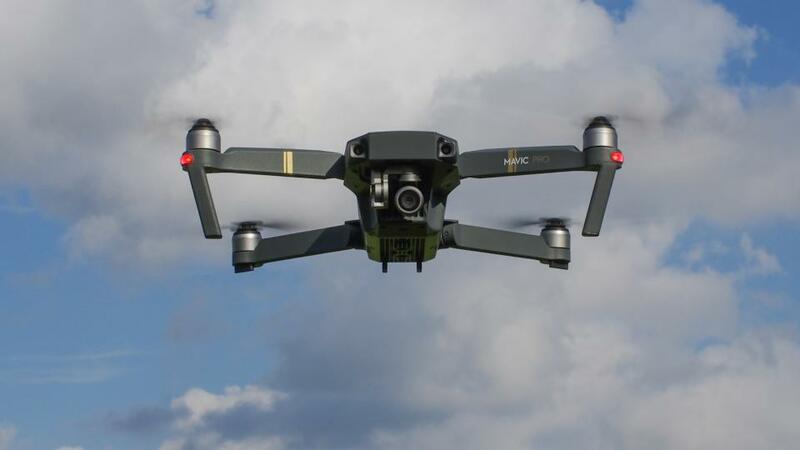 The gimbal in this drone is connected to the front and hence, there may not be any landing gear or propeller props in a shot. 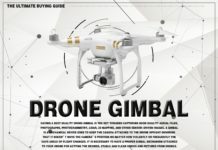 Moreover, the gimbal in this drone is detachable and it can be easily pulled off if not required. The picture quality from this drone can be amazing because it uses a camera that promises sufficient clarity for both videos and pictures. However, people who may need more clear photos may always opt for DSLR cameras or any other types. People who may have used GoPro earlier may be quite happy using this drone because all GoPro features are there in it. 1) The folded dimension of the drone is 14.4X8.8X3.5 inches. 2) It is quite lightweight at 35.5 oz. 3) The maximum speed of the drone is 35 miles per hour. 4) The maximum distance that it can travel is 9840 feet. 5) It has a detachable gimbal and comes with a GoPro camera. It is quite small and can be packed easily for travelling. It responds quickly and can be easy to fly. It can easily tolerate enough hard landings and is easy to repair. There is no need for a tablet or smartphone as there is a 5-inch game-type controller for handling it efficiently. There is no ultrasonic sensor and it is not as rugged as many others. There is no smart ‘collision-detection’ feature available. The life of the battery is not very long. 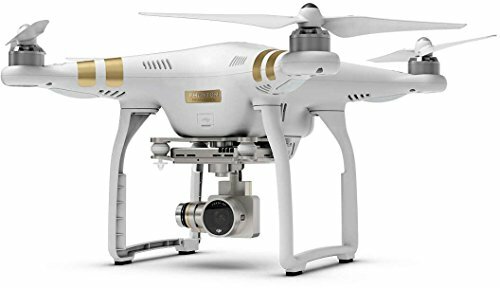 People who have wondered ‘Why you should pack a drone on your vacation?’ can be answered adequately by using this drone. 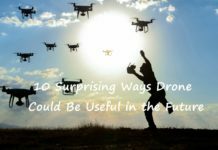 It can be perhaps one of the best drones due to the many features that it sports. It has been there in the market for sometime now and surely, people like much of its features. Therefore, it is very popular amongst travelers. 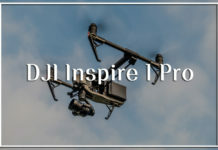 Looking at its success, DJI has introduced many other variants as well but this one still retains an edge on all others. 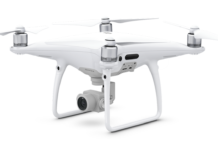 This RTF quadcopter can be the perfect one for capturing all types of images and videos within the price bracket that it comes in. However, it is not a compact drone and therefore travelling with it may not be very easy. You may have to carry it in an additional luggage if you are planning to take it along with you on a holiday. But once it is carried along, it can be worth all the pain that has been taken for it. This drone can produce some of the most stunning pictures that one can expect. 1) Including its propellers, the diagonal size is 590. 2) The weight of the drone is 1.28 kilograms. 3) It can travel upto a maximum distance of 3.1 miles. 4) The maximum time of flight is 23 minutes. 5) It has a built-in camera with gimbal. 6) It has a lens FOV 94 degrees 20mm f/2.8 focus. Superb quality videos and photos can be produced by it. It has many smart flight modes available. There are no flight sensors in this drone. The camera may not be upgraded or disconnected from the drone. The landing gear cannot be easily removed and does not fold for travel. It may not be very compact. A smartphone or a tablet may be needed in addition to its controller. This is one of the best travel by drone, as far as superior picture quality may be concerned. It is something like sending a DSLR camera up into the air for taking aerial shots! However, due to its bulky size, it may not be very easy to travel with it. 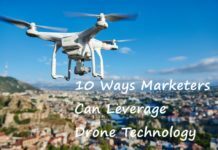 The drone can be a bit expensive but for the features that it sports, that can be worth the value. There is a typical feature in it, called ‘Optical Sensor’. 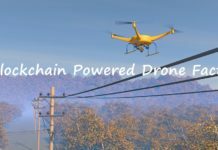 With the help of this feature, if the drone detects an obstacle in its way, it can either brake itself or chart a new way around that obstacle! Now, this is something that can be very handy for any traveler so that there may not be any fear of running into a landmark construction. 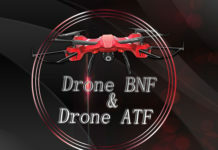 There are also some other superb features in this drone like the Course Lock and Follow Me features. 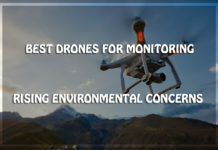 The Active Track feature of this drone can be useful for tracking down any vigorously moving object so that activities like skiing or mountain biking can be very correctly filmed over it. Anyway, it may need some time to calibrate itself and also, there can be a lot of adjustments within it that it may have to do. The biggest disadvantage of this drone is that the landing gear cannot be disconnected from the unit and therefore one may have to carry the drone separately in another bag while travelling. Hence, at times, this can be quite frustrating. 1) It is 350 mm diagonally including its propellers. 2) The drone has a weight of 1.38 kilograms. 3) The maximum flight time is 30 minutes. 4) There is a connected camera in it with a gimbal. 5) There is sufficient collision detection mechanism available. It has some of the best camera features. Flying it can be very easy. It promises to have an outstanding range. The battery life is long lasting. The price of this drone can be on the higher side due to its superior features. Additionally, $300 may have to be spent for buying the touchscreen controller. Can a drone be serviced without any specialized help? This may depend from one brand to another. 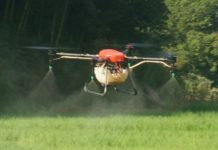 Some drone manufacturers facilitate self-service option for the user while others may need specialized care from experts. Can I make my own drone ? Yes. It is possible provided one understands the concept behind a drone operation. After understanding the technique, one can source the required components and build it accordingly. 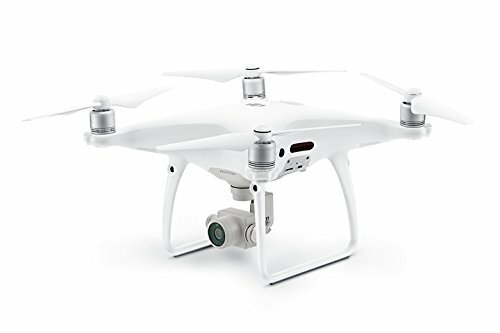 Is it necessary to get any type of license for a drone ? Again, the answer to this question may depend upon the place where you stay. Different countries have different regulations with respect to drones. Some may allow its operation without any kind of license whereas others may have banned it altogether. It is always a good idea to check this out with the local authorities before making a move. Looking at the various options that are available in hand, one can easily answer the query ‘Why you should pack a drone on your vacation?’ All these drones can offer mesmerizing pictures and videos of a place that can be treasured for a lifetime. It also depends on what type of vacation or holiday one is willing to spend. 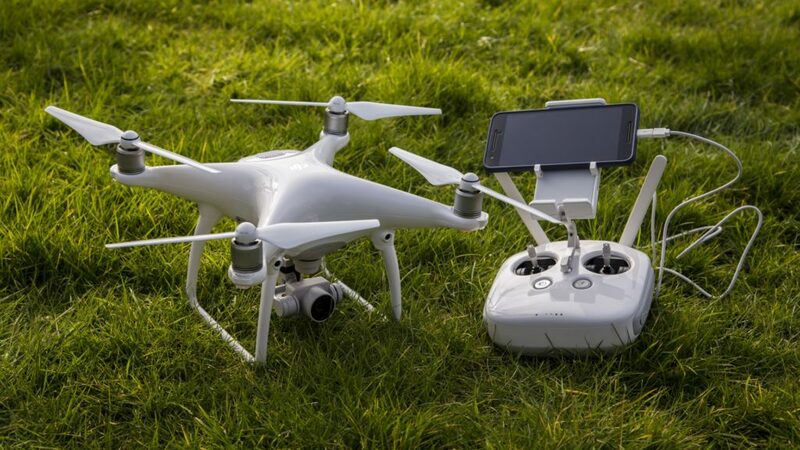 If it is a general leisure holiday once a year, any drone may be bought but for serious travelers who are into adventure sports or high resolution photography, DJI Phantom 4 Pro is the drone that one should target due to the superior picture quality that it can offer. Moreover, these picture images and videos can also be converted into many other formats and that can be quite overwhelming for anyone. 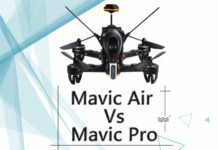 DJI Mavic Air Vs Mavic Pro: Which You Must Buy?